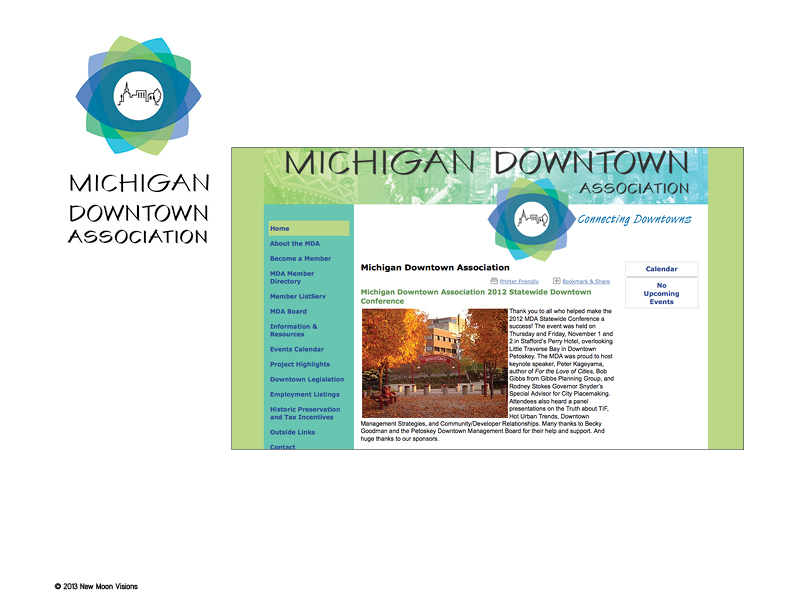 The Michigan Downtown Association, a group of downtown planning and design professionals from all over the state awarded New Moon the honor of developing their brand. This was a challenge, but we were up to the task! The Logo image utilizes the shape of an eye creating a kaleidoscope of layers, symbolic of the overlapping of talented people, and of diverse places. The strategy is to encourage the members to focus on the future for their communities, while inviting potential new members to do the same.